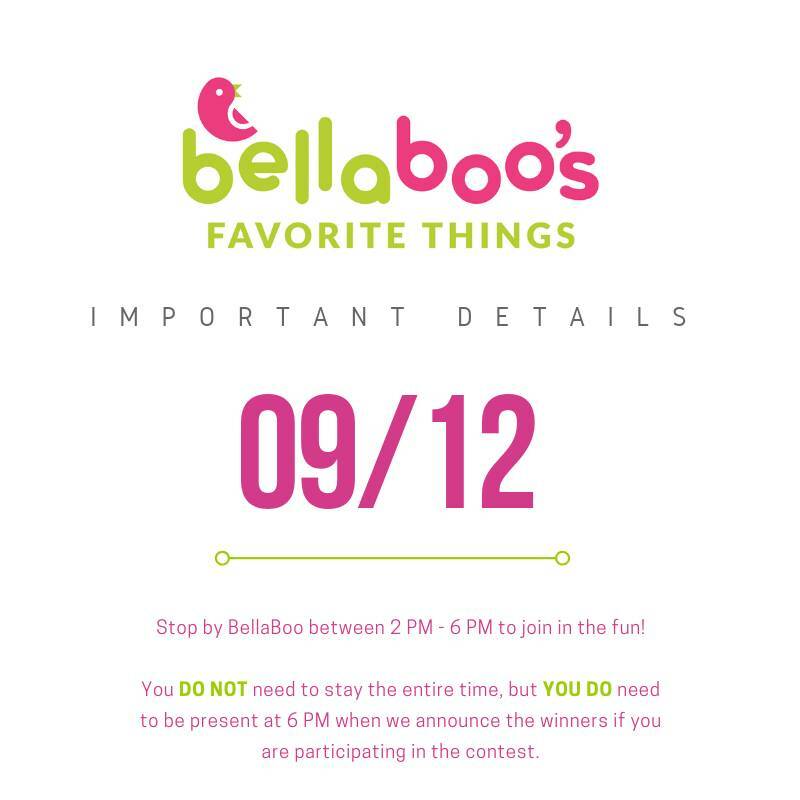 BellaBoo's Favorite Things Giveaway is almost here! See below for some important details for tomorrow's big event! Stop by BellaBoo between 2 PM - 6 PM to drop off your tickets and enjoy some fun activities! You do not need to stay the entire time, but you do need to be present at 6 PM when we announce the winners. Parking can be found in the many parking lots around The Lancaster Central Market and lucky for us it's Lancaster City Restaurant Week with many great places to eat including the brand new Max's Eatery on King Street which is very kid friendly! We're also excited to announce that Sugar Whipped and Penny's will be joining us for our BIG giveaway! So make a day of it tomorrow, get a bite to eat, have fun and win! Follow us on Facebook for live streaming of the event and updates on our next contest!